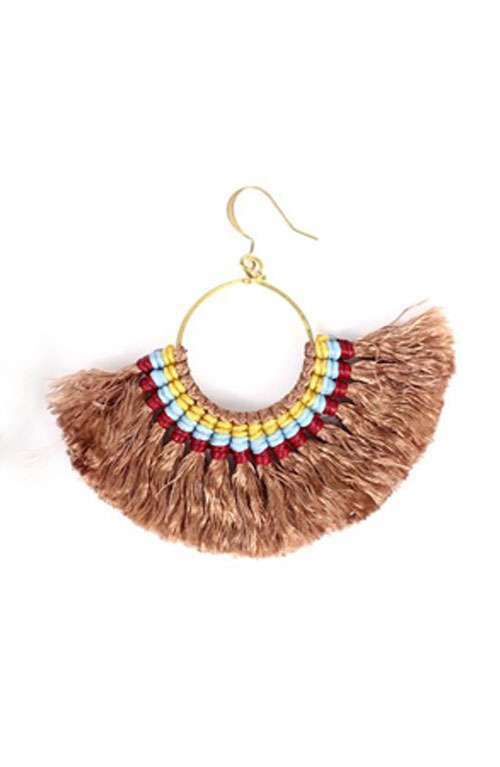 Hoop earth tone tassel earrings handmade with love in Thailand. 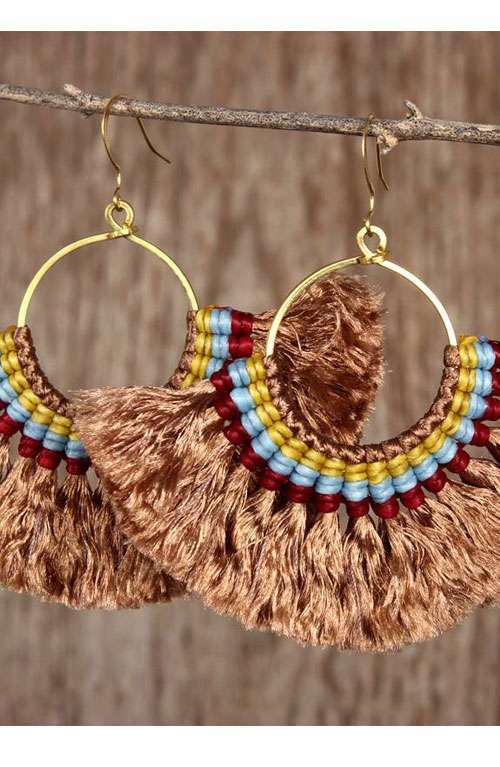 2"
Hoop earth tone tassel earrings handmade with love in Thailand. 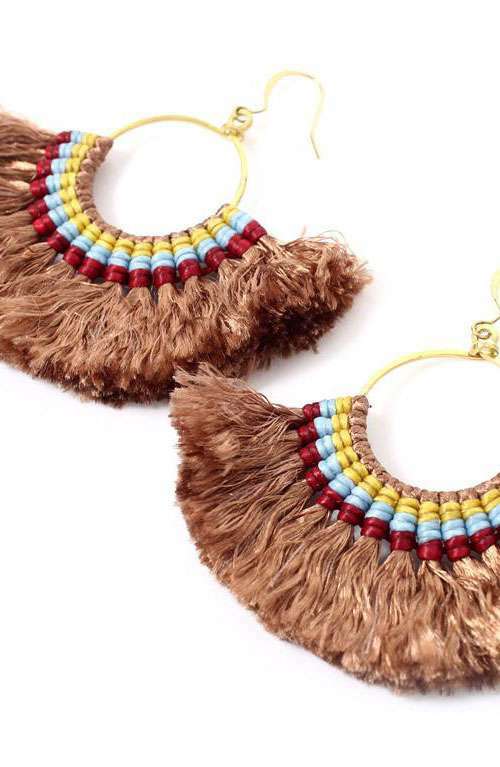 A cute pair of hoop tassel earrings handmade with love in Northern Thailand. 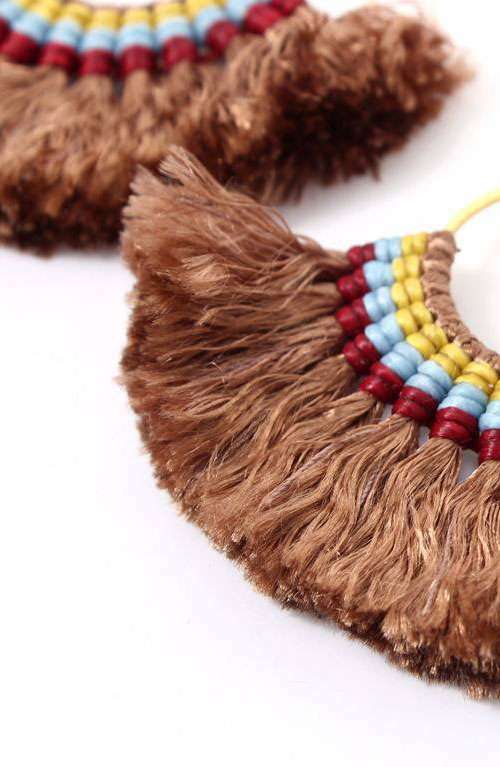 These earrings are made with waxed string and tassels. They are made up of beautiful earthy brown tones. Theses earrings are great for every day use, festivals or a night out. They are the perfect bohemian accessory.